I had recently moved into a 5-storey building, occupying the top floor. Listening to the radio while unpacking at night, my radio started to malfunction. As I turned towards the radio, I noticed a glowing light outside (I had no window curtains yet installed on the windows). I put on my glasses, and walked towards the window. The window was almost completely floor to ceiling, with a large picture window in the centre, and two large casement windows on each side that I could open. I saw a silver-colored oval object appearing to rest on the rooftop of the smaller apartment building across the street. This apartment building was perhaps 3-storeys tall. The object was oval with a dome on top. There appeared to be opaque windows in the center that were spinning. Within seconds of standing at the window looking down on the object, it started to rise up to my window level in height and then move towards my window and hover over the road right in front of me. It had blue/red lights underneath I think because these colours were near its bottom. I was in shock and at the same time fascinated by what I was seeing. The object had a smooth metallic surface, no rivets, bolts, screws or anything holding the metal together was visible. It was silver/grey in colour, not dull but not shiny either. The “windows” I call the row of white lights in the middle, under the dome were spinning. I looked at the windows carefully and then I looked away to see if my eyes would be affected similar to when you look at a light bulb. No affect on my eyes. I tried to see if anyone was inside, even opening my casement window and looking out. The window was opaque. The object made absolutely no noise. It was about 12 feet from me and large enough to stand up inside – perhaps 7-10′ in height and 30′ long. I remember saying out loud, you are a beautiful machine. All of a sudden I became frightened thinking it would take me away. I closed the window and was kneeling down and continued to look out the window. It was in no rush to leave and continued hovering in front of my window. I remember saying out loud, “do not take me please. If you do, my fiancé and family will not know what happened to me. Who are you and why are you here?” It continued to hover for another few minutes and then slowly moved away from my window, over Kingston Road, and gently and gracefully moved east. I re-opened my window again and said out loud, “be careful of the street-car lines”. The craft was very close to the streetcar electrical wires and I was worried it was going to crash into the lines. It was gently maneuvering around the electrical lines to my amazement. The total time I was seeing the object was perhaps 10 minutes. I immediately called and woke up my mother who lived just east of me. She went outside but did not see anything. I then called my fiancé who did not believe me. My mother later told my siblings and I faced some ridicule, especially from my brother so I decided not to officially report the event. It has haunted me all these years and I have felt very guilty for not reporting the event because I know it was real and perhaps it could of helped someone else who had also seen the object verify their account. After all these years, I am now reporting the event but do not want my name to be used please. NOTE: The above image is a rendering. USS Dyess DD-880 was on a shakedown cruise to Gitmo (Guantanamo Naval Base) in Cuba. The captain called all hands on deck and called for the special sea and anchor detail. We were headed right for a Copper Top and Silver Body UFO that we were tracking on Sonar and Radar. We were heading for the thing at 20 Knots. Most of us were either confused or scared. This thing was as big as the Forrestal Aircraft carrier. Not in height but, in length and we could see it from 10 miles away. All of a sudden the thing started to move away from us at incredible speed and we lost the “contact”. The captain said he would log it as another “unexplained mystery” of the Bermuda Triangle. Apparently the captain to much more about the place then we did. I was nineteen at the time and have been reliving that experience almost every day since we saw it. By we, I mean every man on the Dyess that wasn’t on duty. Maybe two hundred of us. I know many of us have passed away. The captain and the XO and several of my ship mates. I’ve told people about the experience and they just “snicker”. I was interested in finding out if the logs of the USS Dyess were researched by you or the incident had ever been made public. The evidence would be in the logs of the Dyess from the spring of 1967 entries under CDR Frank C. Mead, USN. Captain USS Dyess (known as the Steamin Demon) a Fletcher Class Destroyer commissioned 21 May 1945. If there is any record of this please e-mail me or call me. The image of the “contact” has never left me and would like to know if the Captain ever made an entry or if he was afraid to tarnish his great reputation with such an entry. NOTE: The above image is a rendering. I was driving down my road around 10.30 pm; I was about halfway down when suddenly this UFO-craft with a wing span/s of nearly the width of the street, and so low it was just above the rooftops of the houses and was coming towards me! And then even more incredibly I saw there was another identical one just behind that appeared to be following it. There was barely any if any noise and both were moving very slowly but seemed to be able to hover. I was transfixed as they were SO BIG; then I was the only car driving down the street and ‘it/they’ must have seen me. Then they both ‘glided’ off to the left over the houses at the top of local park. I couldn’t see any cabin or even the shape or body of plane, just the huge big white round lights, four altogether, two on each side of the wings. Also it has smaller red lights (see drawing) underneath. It was awesome! It was freaky, did anyone see anything like it? Do you know what it could be? Afterwards I felt very physically and mentally energized which could have been the shock excitement of seeing them. Had I not been so transfixed I may have had time to take a photograph on my phone, but by the time I had gathered my thoughts they just glided off. They were huge. My instincts were this was military rather than ET because of the red lights, it seemed to be too uniform. I put it on facebook and it was picked up by the magazine ‘Cardiff Life.’ Interestingly a friend in Sudbury on Thames posted on Facebook that he had seen the same crafts. NOTE: The above image is the witness rendering. Who knew that a simple winter’s night snowmobile ride would result in the sighting of a black triangle UFO? Triangular-shaped UFOs have been in the media over the past 20 years or so. Numerous television shows have reported cases from different parts of the U.S. and western Europe. These craft are usually about the size of a football field, being about two stories thick. 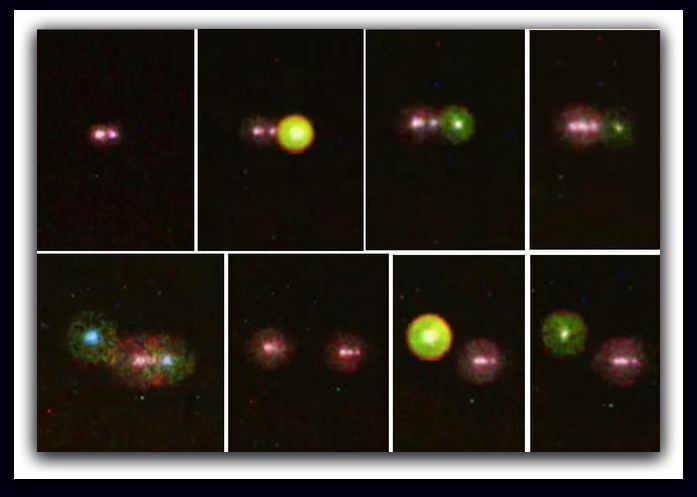 They typically are reported as having three major glowing orbs on the underside. They are usually a non-reflective black in color, but they’ve also been reported as glowing in orange or yellow. The strangest element is that most reports say that they are unnervingly silent. The CNY region is not without its reports of these triangle-shaped crafts. Among the earliest known upstate reports of a black triangle UFO was in January of 1979 in Herkimer, NY. One winter’s night, a snowmobiler who lived in the country was going to visit a friend five miles away. He stated that suddenly it became quiet. He couldn’t hear his sled’s engine and the snowmobile’s light went out. He looked up and could make out the outline of a huge black triangle blocking out the stars. It had no lights and was silent. He said it took about two minutes for it to pass over head. It was perhaps 100 feet off the ground and when it passed under the high tension wires, arcs began jumping from the power lines to the top of the craft. He watched it move away over a hill and then out of sight. When he got home, nobody believed him. 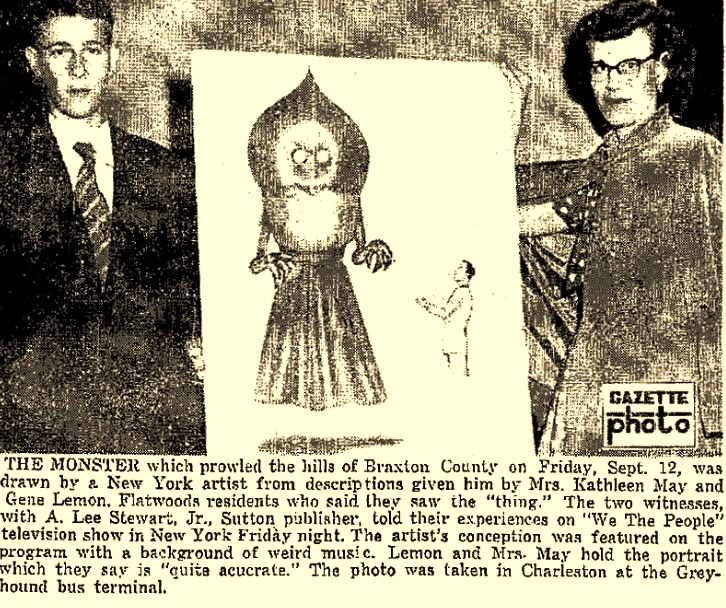 There was also a sighting a few years later in October of 1982 in Owasco, NY near Owasco Lake. In October 2010, a black triangle UFO was reported in Skaneateles that was observed by a number of people at a football game. In December 2011, near Sylvan Beach, NY, a family observed two of these crafts. Not to be left out, residents in the city of Syracuse observed several of these triangular crafts. One was seen over Hiawatha Lake moving northwest in June of 2012 in the early hours of the day. Notably, two years ago a small cluster of sightings of black triangle UFOs happened in May 2013 in the regional New York City area. The most recent report was logged in Earlville, NY on July 15, 2013. A young woman was called outside by her excited boyfriend. 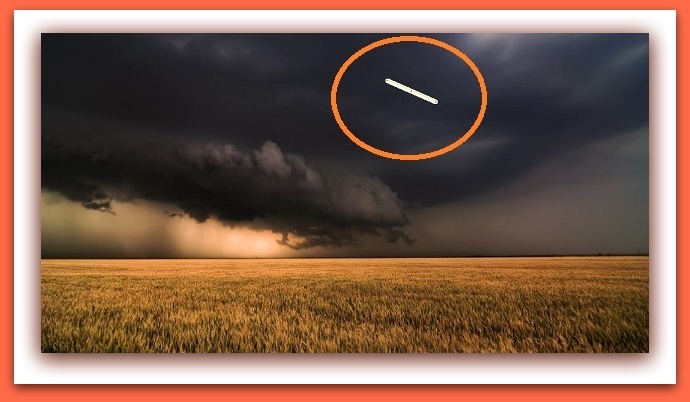 She reported that he pointed up in the sky and some distance from them was a huge orange triangle. They watched it for a few minutes as it slowly moved away and disappeared. 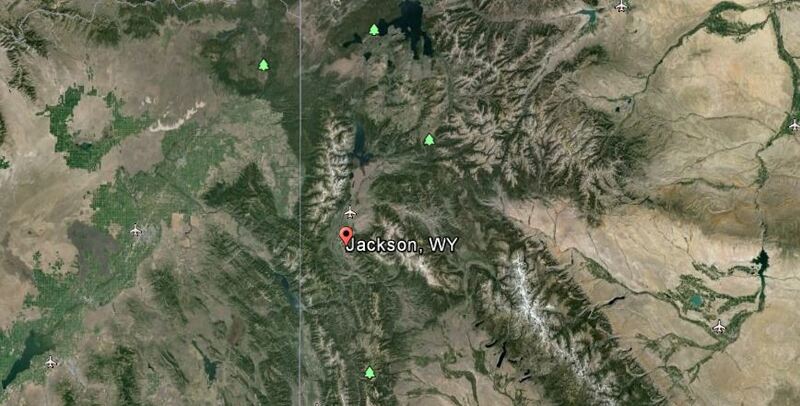 A curious aspect regarding these black triangles is the frequency of their sightings. When I examined the sighting data for the 20 years between 1979 through 2000, there were a total of 34 sighting reports for the entire state of New York. 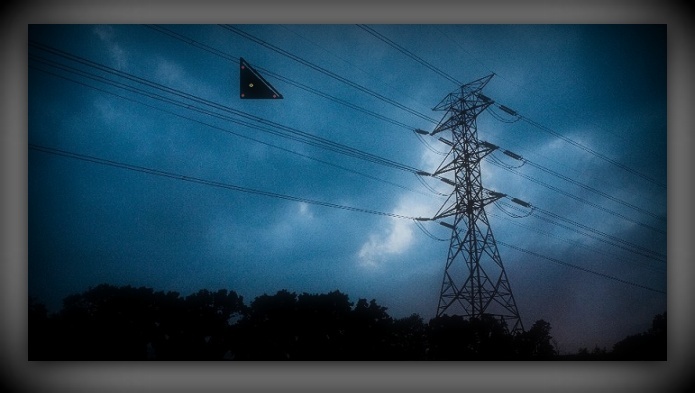 Yet from 2001 to 2015, the number of Black Triangle sightings has more than tripled. NOTE: The above image is a rendering. Me my wife at the time now my ex, and our adopted daughter were camping overnight at Promised Land State Park in North East Central PA. We had seen some activity earlier in the night as small lights appearing and disappearing but we did not think much of it. We lived in the Norfolk Va area and saw this all the time. Me and my wife went to sleep in the back camper shell of the truck and our daughter in the front bench seat. We had a sliding window so we were in contact easily. About 2-3 am we were awoke and I was frightened and angered. I remember fighting off grey and some white beings. At first I thought it was a nightmare but, my wife had the same exact experience however she was unable to move and resist them. I jumped half naked out of the back of the truck to observe a bright light over the lake moving fast to the east and gaining altitude. It was being pursued by F-15 fighters about 3 of them. I recognized the sound of them and the silhouette since I had served in the US Navy. They were followed by a black helo that hovered over the area for a bit. Our daughter was not scared, she told us the little men told her it was ok they would not hurt us. I packed up fast and stopped at the ranger station on the way out. The rangers said it was normal recently but refused to open the door. They were not going to leave the station for any reason. Their voices showed great fear. We made our was to I 80 rest area and we stopped. The rest area attendant asked where we had gotten the strange print on our windshield? I told him what we went thru and he offered to watch over us if we wanted to sleep a bit. The Print Small width, Long three fingered print with no thumb They were pointed. They had disappeared by the time we woke up. We never spoke of this again even after our divorce a year later. NOTE: The above image is a rendering. When I was a child my parents had very good friends that lived nearby. We all lived in a small hamlet along the banks of Great River located on the south shore coast of Long Island, New York. My parent’s friends were a lovely quiet conservative family who were not prone to flights of fancy or believing anything without hard facts to back it. They were a serious, successful couple who lived a careful, well-planned life of thoughtful reflection and controlled emotion. My parents enjoyed their company. My family and my parent’s friend’s family would often spend time sharing BBQ s in our yards or having clam bakes along the water’s edge during the long summer nights. We shared many good times with this other family. The event I am going to tell you about happened shortly after the Fourth of July during the early 1960’s. It was a Saturday night in early July. My parent’s friends were celebrating their wedding anniversary on this Saturday night and after dinner they decided to take their new Cadillac convertible for a drive with the top down to the village dock to star gaze for a few minutes before returning home. The night was clear and the stars bright and clear. The next day my family was sitting around having Sunday breakfast when the phone rang. My father answered it. My parents friend was on the phone asking my father if he and my mother could stop over and help him as he was having some sort of problem with his wife and needed their help. Of course my parents went right over after such an odd request. Hours later my parents came home and told us that their friends had a strange experience the night before at the village dock My father explained how after dinner the couple had taken a ride in their new car with the top down to the dock They rode down to the docks edge where three other cars were also parked—the occupants of the other cars were also taking in the beautiful summer night sky. My parent’s friends said they were sitting there only a few minutes soaking in the night when they noticed a light coming in off the bay at the mouth of the river toward them. He told my father it happened quickly. 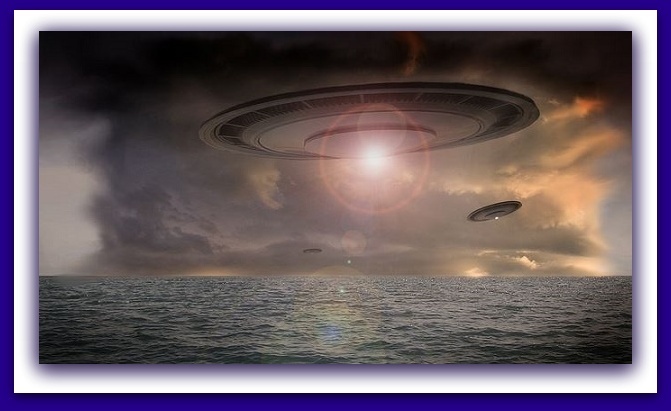 In a matter of seconds they could see the light take form and right there, hovering in front of them over the river, was a huge craft—a large flying saucer. The man told my father that along with the other people parked at the river they immediately became terrified and tried to start their cars in order to drive away. They felt very vulnerable with the car top but he could not get the motor running or the top mechanism to work in order to close the top for some protection. He had explained to my father that the huge flying saucer just floated with a low, dull hum over the river for about a minute when suddenly a vivid bright light show started. The body of the craft began to change colors—first blue then red then orange and then back to blue. His wife began to panic and scream and tried to crawl over the side of the car. He could not start the car. He saw that the other people in the other cars were running into the wooded area adjacent to the dock as their cars also refused to start. He grabbed his wife and they did the same. They ran into the foliage along the river’s edge and found a large fallen tree. They hid under the tree. From there they could see the river and that the craft was now shooting brilliant rays of incredible neon light across the water. They hid and watched in total fear. The craft continued to do this for about ten minutes. It then turned back to its original dull grey color and as quickly as it had made its way down the river, it made its way back up the river towards the bay and took off into the night sky. Within seconds it went from being right in front of them to becoming a tiny dot of light barely visible in the sky above them. One of the owners of the other cars had made his way back to the dock and his car. The others all watched as he started his car. Everybody then ran to their respective cars and sped away from that dock, engines roaring and wheels screeching. A few weeks passed with this being the main talk of the community. The people were anxious and looking for reason or at least an explanation from the local police. Instead, the only response was the entire experience becoming the laugh of the town as if the “river people” had all gone nutty! My father now kept his shotgun loaded, and started to lock the house tightly at night. The other people who lived along the rivers coast seemed on edge too and we all stayed closer to home especially at night. The worst of it was the wife of my parent’s friend who was there that night started to decline quickly. She started taking lots of pills and drinking heavily. This once well-groomed, conservative lady was now often messy or drugged so that she constantly slept. My parents were often upset and my mom received calls nearly every day asking for her to go check on her friend while her husband was at work. My world seemed to be turned upside down by this night of lights in the summer sky. Eventually the summer turned to fall and school started. The lady who was my parent’s friend never did get back to her usual self and her husband decided to buy a smaller house closer to his work and other family members so that he could better care for her. He kept his river home but seemed only to ride out and check it alone on weekends. We never saw them much after that. I often wonder how many other people like this couple and all those who were at that dock that night have similar stories about strange things seen on lovely summer nights that due to society’s reactions stay silent which keeps us all locked in the dark. I do know that encounters like this one happen all the time by people just like you and me. I think it best we all pay attention to our surrounding and to be careful where you go when alone as you never know when you will be the next to come eye to eye with the cold dead stare of the unknown! NOTE: The above image is a rendering. Observed moving east to west, in a dark night sky. A band I work with had just finished performing at a downtown outdoor festival. I was standing behind the stage area, talking with a musician, facing toward Lake Michigan, which was about 4 blocks away. 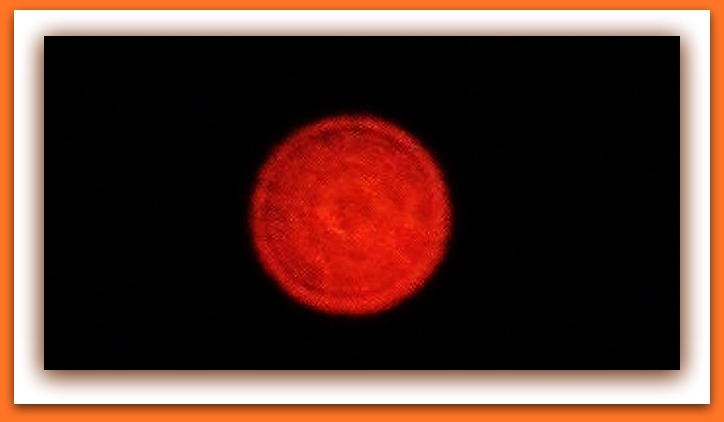 I saw 4 reddish-orange spheres, moving slowly in the night sky, as if in unison, from the lake vicinity toward land, coming our direction. I showed the musician and he was captivated, like me, as we watched. They slowly disappeared behind a tall building. We wondered what we had seen, and then he said, “Look, there’s another.” As another appeared on the horizon, soon there were 2 more. 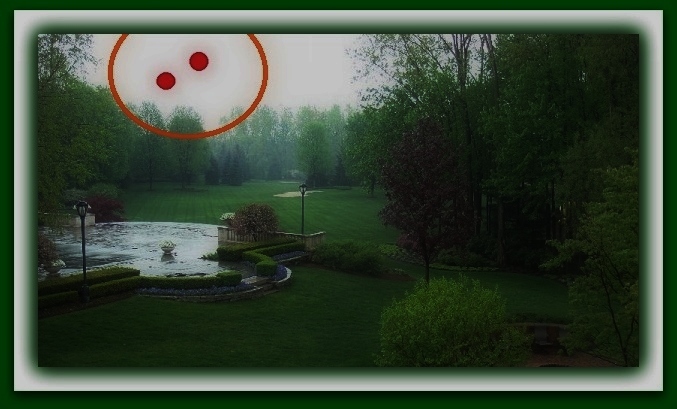 That group of 3 spheres, or orbs, same color, moved the same general direction, quietly, again in unison and moved behind the same tall building until we could not see them. Again the sky was dark and we watched as slowly a group of 5 more appeared, moving the same general direction, slowing, as if in unison. Last, 2 more appeared and did the same thing, always moving slowing, east to west, but disappearing. I got a few photos. I’m very aware of the night sky, and my surroundings and have never seen anything like this; neither had the musician who watched as long as I did, a total time of about 15 minutes. I’ve never have seen anything I’d call a UFO, until this. Info. about witnesses: adult female, college grad, school teacher for 35+ years; adult male, musician/keyboard player, highly respected in the community for many years. We are just casual acquaintances. ALIEN investigators hope the release of German government files on historical UFO sightings will be a milestone in their quest for evidence of extra terrestrial life. Following a number of years of legal wrangling, the German Supreme Administrative Court in Leipzig ordered the German Bundestag to release confidential documents about UFOs, that it had tried to keep hidden. The news has been welcomed by UFO researchers already buoyed by news that the UK Ministry of Defence (MOD) will release 18 confidential UFO files to the National Archive next March, although it is still not known when they will be available to the public. In 2008 then German Minister of the Interior Dr Wolfgang Schäuble insisted the German government had never investigated the topic and had no interest in doing so. 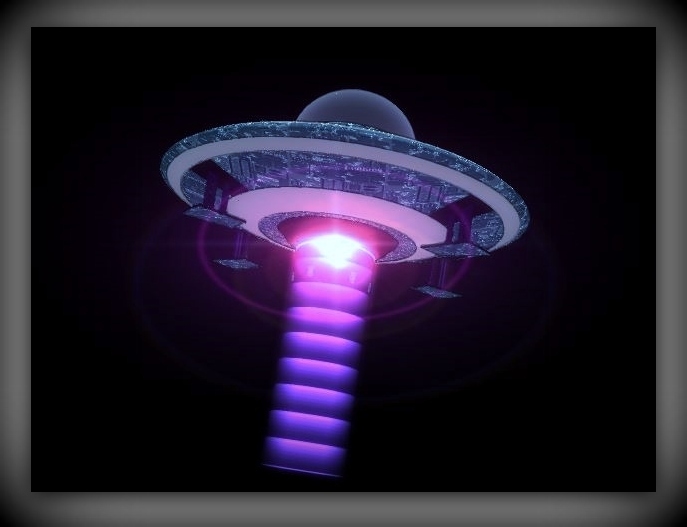 However, two years later Robert Fleischer of Exopolitic.org discovered that the scientific service of the German parliament had a department investigating the possibility of extraterrestrial intelligence and UFOs. German blogger Frank Reitemeyer took the Bundestag to court, which fought against the release until now. 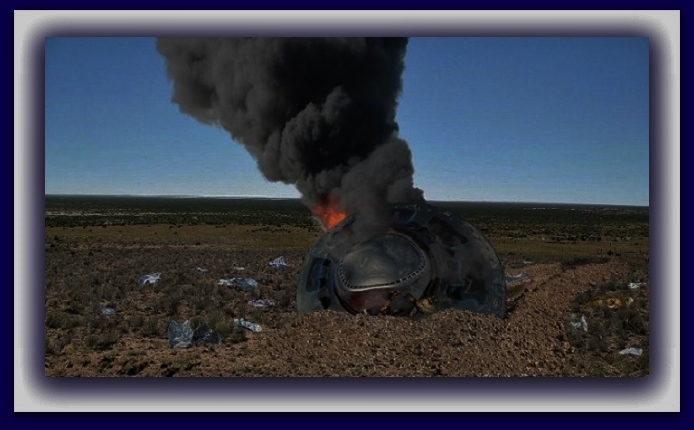 Information which must be released is an international summary of facts about UFOs and the search for aliens and details of a United Nations (UN) resolution to set up an international UFO research agency. In a video statement, Lions Ground Entertainment Group, which makes paranormal films posted on YouTube, said: “The news is a breakthrough for all UFO hunters and UFO investigators.” But others fear the records could be quite dry. One YouTube user said: “Call me cynical, but when a government is ordered to hand over docs, I’m skeptical the real original documents will ever be handed over.” NOTE: The above image is a rendering. The earliest documented encounter came in 1792 from two explorers, David Thompson and Andrew Davy, who were in northern Manitoba where they said they saw several bizarre meteors crash into the ice. Thompson’s diary details how the two were surprised one night by a brilliant “meteor of globular form” that “appeared” larger than the moon.” “It struck the river ice, with a sound like a mass of jelly, was dashed into innumerable luminous pieces and instantly expired,” the diary says. “The next morning we went to see what marks this meteor had made on the ice, but could not discover that a single particle was marked.” Rutkowski says other sightings were reported by police, pilots and average people, who saw everything from unusual lights in the sky and flying saucers to silver-suited aliens. The witness reports, which have common themes and descriptions, suggest “we are being visited,” Rutkowski said. “That doesn’t mean that aliens are invading Canada in any way, but it simply means there are unusual reports of things in the sky,” he said. 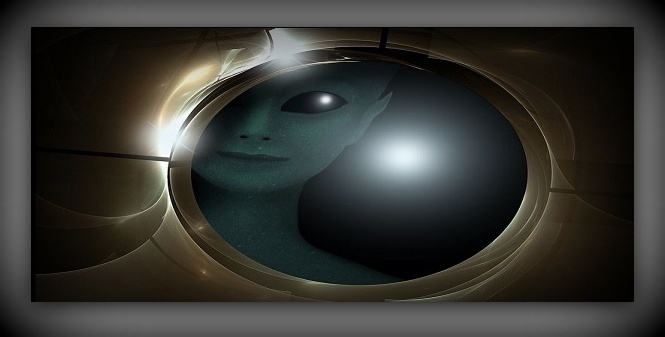 “It certainly says that we probably are not alone in the universe and that there probably are some sort of alien civilizations out there somewhere but there is no proof of that.” Ufology Research’s 2014 Canadian survey detailed more than 1,000 UFO cases reported in Canada. 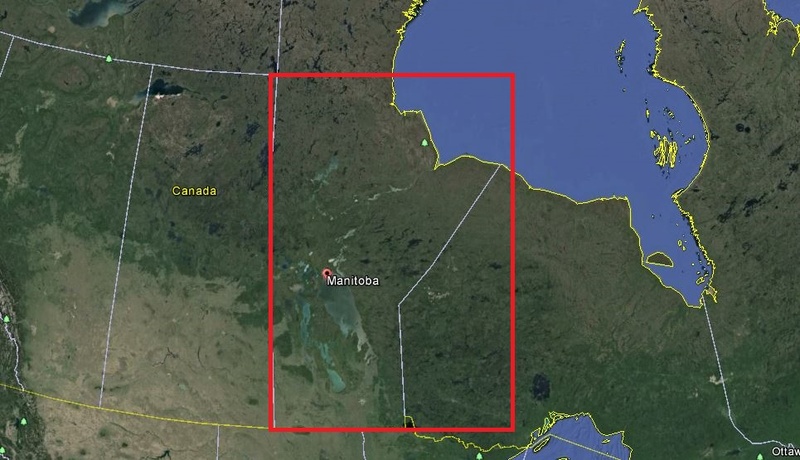 The latest report on Manitoba sightings found most occurred during the summer months, between 10 p.m. and midnight. NOTE: The above image is a rendering. Alien Cover Up is ready to showcase the very moment that many officials have refused to talk about. 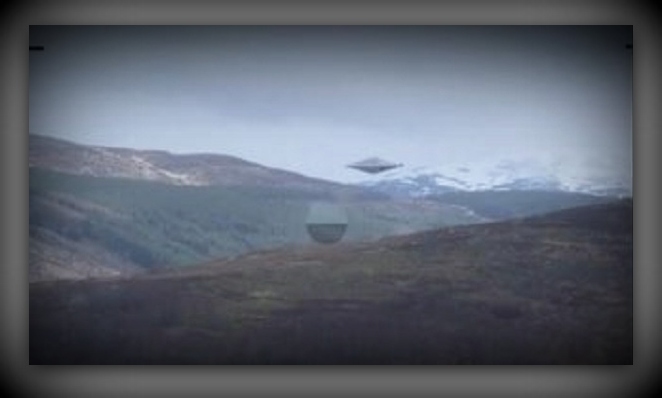 The Channel 5 show tells how according to the UK UFO files, in August 1990 two hikers were walking in the Scottish Highlands, close to Calvine, north of Pitlochry when suddenly they saw something incredible. A diamond shaped aircraft was hovering over the landscape before speeding off into the distance. The two hikers took pictures of the craft and immediately contacted journalists from the Scottish Daily Record Newspaper. After viewing their photos, the journalists chose to share both pictures and negatives with the Ministry of Defence. 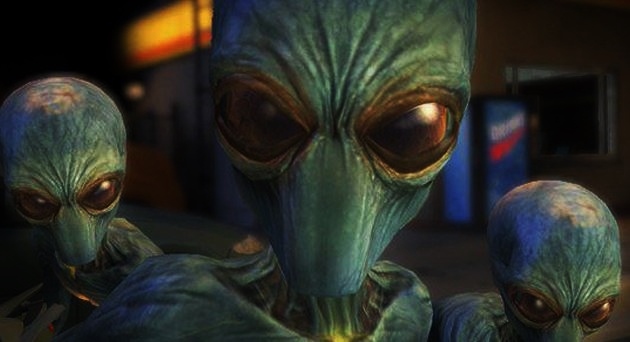 The UK UFO Desk files say that the images were then analysed by the best team in the business. At the time Nick Pope was a junior member of the UFO team. He explains the response of the MOD’s top UFO expert in Conspiracy: Alien Cover Up. See a photo of the reconstruction above. 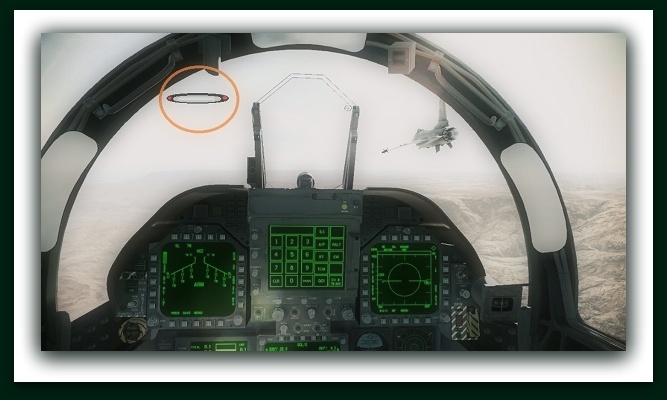 “The Defence Intelligence staff sent these images to JARIC that’s the Joint Air Reconnaissance and Intelligence Centre. Now this is the UK’s military centre of expertise when it comes to imagery analysis. These Intelligence personnel come to the conclusion that these photographs are real – it’s a solid craft and no one has the faintest idea what it is.” NOTE: The above image is a witness rendering. Do you believe in UFOs? A Dexter woman does after seeing what she believed to be saucer-like flying objects in the night sky over her home recently. The only problem with her theory is that it was the Fourth of July — a time for all kinds of objects to be lighting up the skies overhead. Anita Barnes, however, is convinced, as are her mother and her husband, that what they witnessed on the night of the Fourth, did not resemble any fireworks they’ve ever witnessed. “It was about 9:30,” Barnes explains, “and my husband called in to me to come outside and see what was flying overhead.” One of the objects sighted, she said, was what is typically described as a flying saucer, a round lighted object with a sort of outside slope or ring around the middle. Barnes went inside her home to retrieve her cell phone and was able to take several photos of the sightings, that continued until nearly midnight. Barnes lives on the far west end of West St. Francis Street. Her mother, who lives on Bain Street, witnessed the same sights. Some of the objects, Barnes explained, had colorful lights circling their outer rims. “There were eight at time, one right behind the other,” Barnes said. She said the objects were going in a south to northwestern direction over her house. “At one point, two of them had come back toward my house. 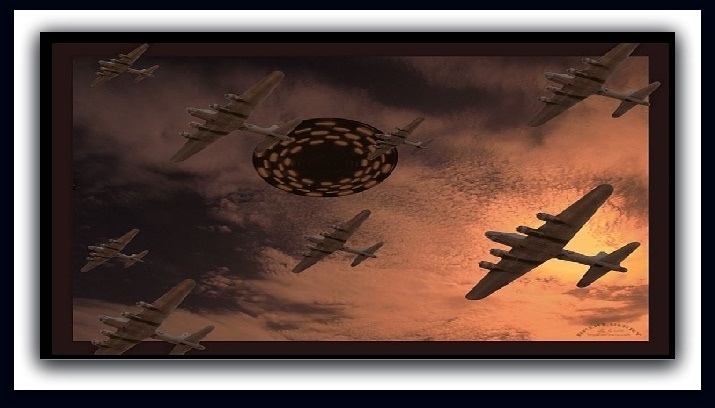 Then they disappeared, and then the single white light saucers just came out of nowhere for hours.” Until the sightings on the Fourth, Barnes noted she was “always kind of negative” regarding the theory of flying saucers and UFOs. “I was really amazed,” she said. “I have never seen anything like what I saw that night. Every time I would see one coming, I’d get my phone and try to get a picture of it. I was very excited.” While most of the photos on Anita Barnes’ phone are cloudy and distant, one in particular stands out. 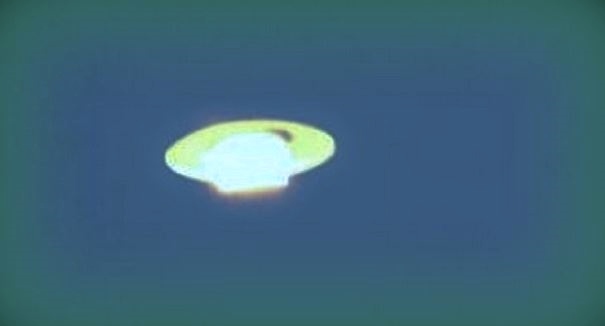 The object (pictured herein) shows the image that most describe when describing a UFO — the bright light and ring around it. Barnes said she has since heard that there were also sightings in the Bernie area, but in part because of the date, didn’t report them to any news agency or media outlet. KENS NOTE: Alien craft love fireworks. It would be natural for these alien people to be curious about these strange lights in the sky. Marine Corps Lance Corporal John Weygandt, who was part of the Disclosure Project, was sent to Peru in March 1997, to provide perimeter security for a radar installation that he was told tracked drug traffic aircraft. He states, “About midnight, while I was on guard duty, Sergeant Allen and Sergeant Atkinson told me, an aircraft crashed and they need us to go and secure the crash site.” Early that morning we drove six Hummers close to the crash site just when it started to get light. We found the area real easy because there was a huge gash in the land where something had crashed. Everything was burned and it was like something had almost cut warm butter with a knife. It was like something on fire or had some kind of energy like a laser had cut it. It was really strange. I was in the front with my sergeants ten meters ahead of everyone else. We were the first ones to see this thing. It had gone up the hill and then off in the side of the ravine and ridge. This was a 200-foot ridge, of solid rock. 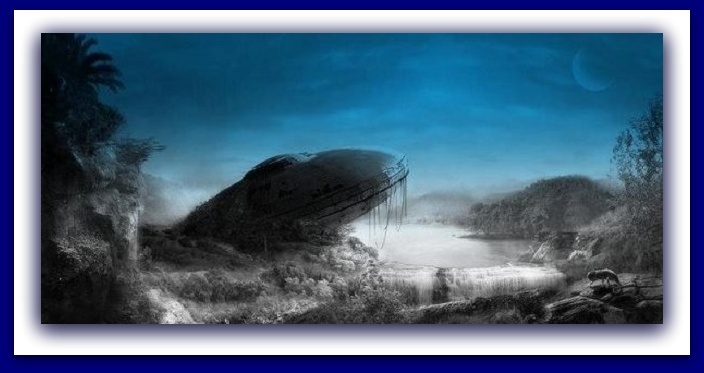 A huge craft was buried at a 45 degree angle in the side of the cliff there at the ridge. It was straight up and down. The craft was dripping a greenish-purple syrup-like liquid everywhere that fluctuated like it was alive and changing to a different shade of greenish purple. The craft was humming like a bass guitar and had a slowly turning light. Most of the craft seemed buried into the cliff but vents, like a fish gill were on the back. The liquid got on my clothes and ate holes in them and burned off some the hair on my arms. There were three holes in the ship that may have been hatches that were not flush with the main body of the craft. There was another hatch that was kind of crooked to the side and half open. I felt this strange presence and I think the creatures calmed me and were trying to communicate with me telepathically. The Corporal estimated the craft was about 20 meters in length (66 feet) and ten meters (33 feet) in width and shaped like an egg or teardrop. The skin of the craft had bumps and notches and appendages on it. It was really organic and almost like art. It looked like something that could be made in a shop with handmade materials. It looked like metal but there was no reflection and was nothing like titanium. The sun was shining on it and I could see the different shades of the craft. Suddenly the Sergeants were yelling at me to get the hell out of there. After we climbed back up, the Department of Energy people were there. They knew about it so I don’t know why we went there. I was arrested and cuffed with both hands down and all my gear was taken from me by men in black camouflage uniforms who threatened me and subdued me. At the crash site there were thirty guys wearing hazard suits. I had been told aircraft were flying in and out of the atmosphere at mach ten plus. When you have objects that reenter the atmosphere and then stop on a dime and turn around it is obvious this craft are not from Earth. I knew that when I looked at it. I wondered if those facilities were built to track UFO’s with radar and their cover was to track drug aircraft. They had laser range finders and all kinds of high tech stuff that I have never seen before and can’t explain. The laser range finders looked like big telescopes. There was a Command Center manned by a multi-national force including Chinese and I think Germans. So these craft were tracked from this particular radar and had been hit by some weapons and had been taken out. 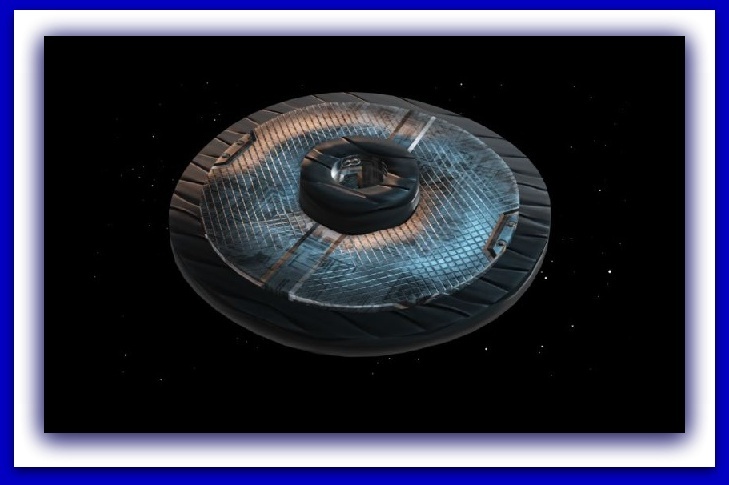 Editor’s Note: I spoke with Corporal Weygandt who described a craft damaged by enemy action, either ours or an opposing alien force. He thought there may be a missile site that was set up in Peru. His testimony on Page 274 of “Disclosure: Witnesses Reveal the Greatest Secrets” by Steven Greer M.D. indicates lethal deadly force was being used against alien intruders during the Clinton Administration. We can assume this war continues. NOTE: The above image is a rendering. At approximately 9:45 pm, I was in my front yard, smoking a cigarette, sort of gazing across the street at my neighbor’s house. After a few moments, my eyes started to wander off to the left (westward) towards the bike path that is provided to us by our municipality. As I started to look that way, I noticed something in the sky. I glanced up and instantly dropped my cigarette. Above the tree line on the bike path, there were two red objects hovering. 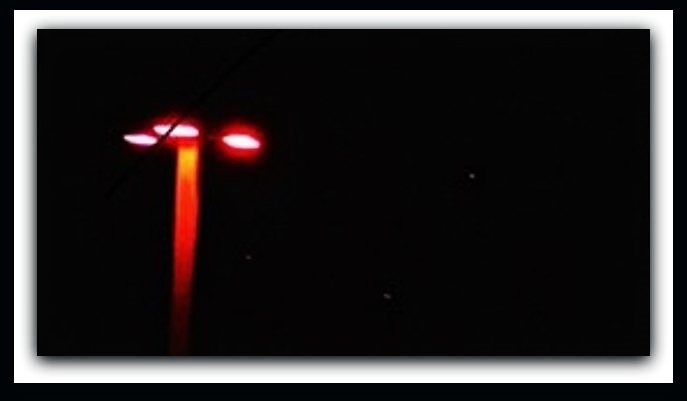 They glowed a bright red light and seemed to flash and change colors from red to white. After a second or two of standing there, I ran inside to grab my iPhone so I could record this event. I work in television production and have been around drones for a lot of that work. I also fly weekly for my job. I’m in and around planes and airports and have been for the last 12 years. These objects were not drones. They were not planes. I took 2:30 mins of footage before my phone’s battery started to die. It was inside on the charger initially and was only around 5% charged when I took the footage. The two objects hovered for awhile, then one took off and flew away. Far away. They were both pretty large at first. Smaller than a full moon but much larger than a star. The one that flew away though did eventually become small enough that it looked like a star. 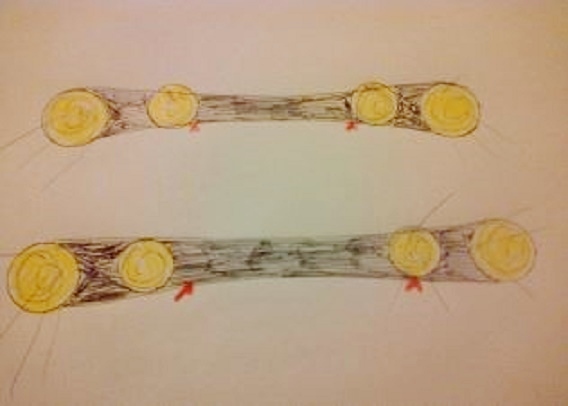 After a few more seconds, 20 maybe, the one that flew off – which was the one situated on the right hand side – reappeared on the left hand side, lower – again by the tree line and much larger. The two hovered again for about a minute. My phone was dying. I ran back inside to charge it and after a few minutes, I came back outside with my 3 year old son. We recorded another 20 seconds of footage and he – though very young and being a child – was able to identify the object and you can hear his voice call it “the flashing star”. I’m well educated. I work for a Fortune 500 company. I have a child and I’m an excellent father. I’ve been around drones and planes for my work. This was neither. My very first reaction was to run and grab a camera. That wouldn’t have been my reaction if I had ever seen anything like this before. It’s also important to note that Northfield is a very normal and pristine little borough outside of Atlantic City. The area here is quiet and family oriented and filled with decent people. This is not a hoax or a gimmick or some weird thing. I saw two UFO’s. 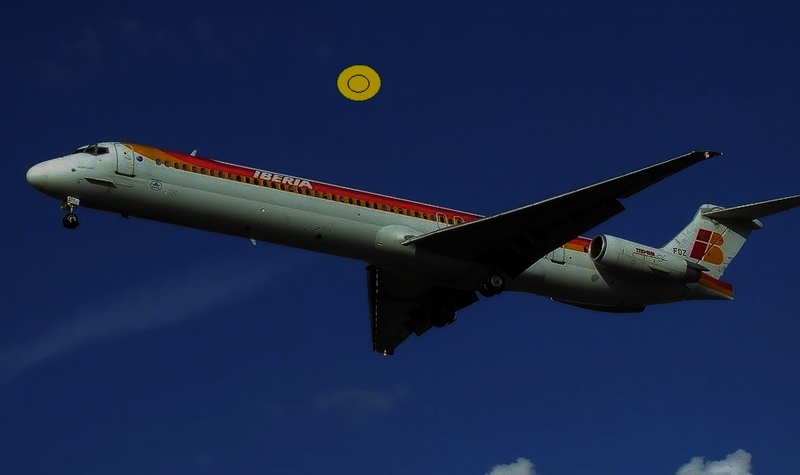 These two objects hovered, flew, flashed bright red and appeared to travel great distances in very short time. NOTE: The above image is a rendering. This case is under investigation by MUFON’s Chief Investigator Ken Pfeifer.